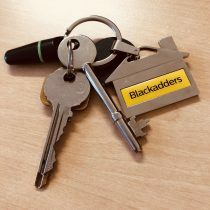 Blackadders' Property Blog: Covering Aberdeen, Dundee, Edinburgh, Glasgow, Perth, Angus and beyond – The property market is something that affects us all, be it buying and selling a house, to property investment. This blog is our take on the property market in Scotland in general, and Dundee and Angus in particular. To get in touch with us, please visit www.blackadders.co.uk. Aberdeen Western Peripheral Route | 10 years in the making and a billion pound spend: was it worth it? Absolutely, it is hard to contemplate that it was around 1948 when a new road was first discussed. The new bypass, which is made up of Southern, Central and Northern Sections, has made life-changing differences to road users in and around the city. I still find it hard to believe that during what was previously … Continue reading "Aberdeen Western Peripheral Route | 10 years in the making and a billion pound spend: was it worth it?" 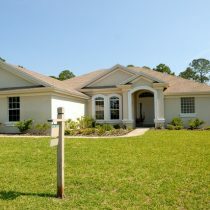 The majority of first-time buyers will need some sort of funding to assist with their purchase. The most common way is to take out a mortgage. 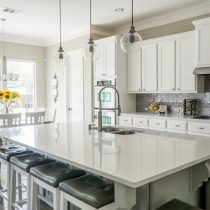 Essentially, a mortgage is much the same as any other type of borrowing with the main difference being that the loan is secured against your property. What this means … Continue reading "7 Points for first time buyers to consider when funding your new home"
We have all heard the old saying: “A picture is worth a thousand words.” Well, in Estate Agency, pictures can make a huge difference in the level of interest your property receives, which can ultimately determine how quickly your property will sell. 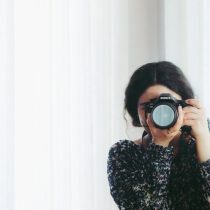 Today’s buyers can sit in the comfort of their own home, taking their time … Continue reading "The importance of professional photos in Estate Agency"
The 4th quarter of 2018’s figures have just been released by the Aberdeen Solicitors Property Centre and there is some further good news, following on from Q3. Sales volume is up by over 11% compared to this time, last year. Putting this into context, it is even better news when you consider that the winter … Continue reading "ASPC Quarter 4 Housing Report – Reasons to be optimistic for 2019"
On 1st December 2018, the Home Report system in Scotland became 10 years old. I thought it would be interesting to look at the effect of the system over that period. Home Report Principles First and foremost the main principle of the home report, to provide relevant information relating to the property including condition and … Continue reading "Ten years of Home Reports"
Tis the season to…………GET READY! It is a traditional thought that the property market shuts down over Christmas and New Year. Does it though? What do estate agents get up to over this so-called quiet time? Preparation is the key word I would use. 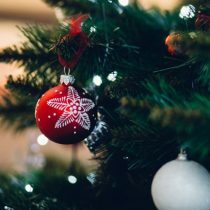 Whilst a few properties will still go on the market through necessity more than anything else, … Continue reading "Tis the season to…………GET READY!" Has the V&A helped the property market in Dundee? It’s now just over two months since the spectacular opening of the V&A and what a success it has been. 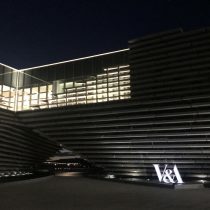 Thousands of visitors have come to the City creating a real buzz, this along with the many high profile concerts held in Slessor Gardens opposite, has had Dundee the talk of Scotland particularly in the … Continue reading "Has the V&A helped the property market in Dundee? " 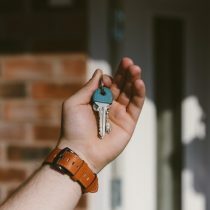 Buying your next home can be a stressful time but first of all, you need to make sure that you have found the right property. A viewing appointment gives you the opportunity to see the property in more detail and it’s vital that you use this time wisely. 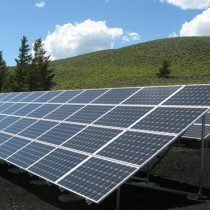 Five points to consider when viewing a … Continue reading "5 things to remember when viewing a property"
As most owners of commercial properties will be aware, an Energy Performance Certificate (“EPC”) is a document produced by an approved assessor which is designed to provide a measure of a property’s energy efficiency. This will be in the form of a rating, which will be from ‘A’ to ‘G’ on a scale, with a … Continue reading "Why do I need an Energy Performance Certificate? 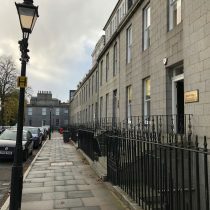 |Commercial Property"
Today sees the release of the Third Quarter of 2018’s housing statistics, from the Aberdeen Solicitors Property Centre. Jamie Robertson, Senior Solicitor in our Aberdeen Residential Team, reflects on these, to give a succinct view of the market, as it stands, today. Aberdonians have had cause to believe that the downturn in the Oil and … Continue reading "Aberdeen update: 3rd quarter housing statistics released from ASPC"